The Two Day Advanced Racing School is just as it sounds, advanced. This school picks up right where the Three Day Racing School leaves off and helps the participant transition from student to Racer. In this school, students are able to polish the skill set developed, while adding speed and consistency. 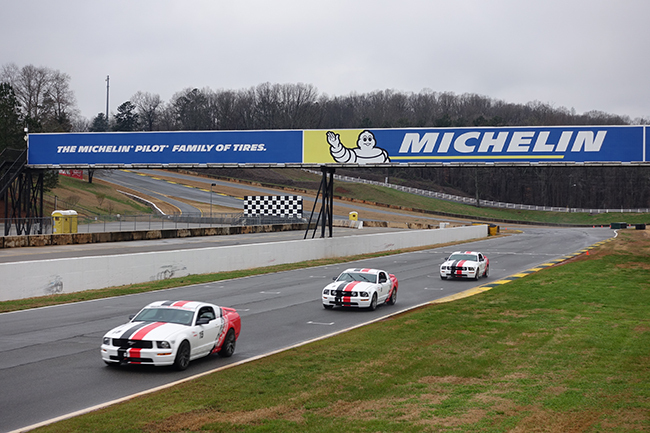 In addition to on-track instruction from world-renowned instructors, drivers go wheel-to-wheel against the instructors to practice race situations and hone their racecraft. The second day leads off with a passing talk, then it’s out to the track where students will go wheel-to-wheel with their instructors and learn how to pass and be passed. After lunch, a classroom session on strategy and race starts will ensure you are ready for first SCCA race weekend, then its back on track for more lapping and expert instructor feedback! You will spending the remainder of the day on track, polishing your new found skills! Successful graduates of this program will be eligible for a SCCA Full Competition License.